A police officer sees a person crawling around under a streetlight and asks him what he is doing. “Looking for my keys,” replies the person. “Where’d you lose them?” asks the officer. “‘Across the street,” comes the answer. “Then why look here?” questions the surprised officer. “‘Cause there’s lots more light here,” explains the person, continuing his search. 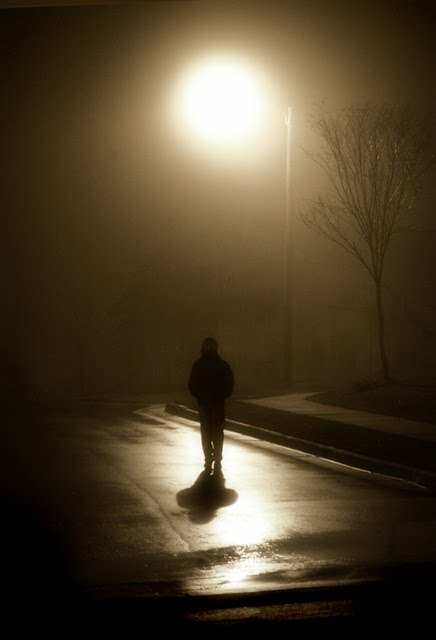 The streetlight syndrome reflects pretty much, in my opinion, our (Tibetans) approach or strategy to regaining our independence or autonomy or cultural survival or whatever. Whether this goal is to be achieved by violence or non-violence or through the middle way is one aspect that has to be considered. However, there is also another equally, if not more important, issue that has been completely ignored. The crux of the problem here is that our entire effort has been and continues to be concentrated on actions outside Tibet (under the street lamp) as opposed to inside Tibet (across the street) which is where the holy grail, be it independence or autonomy, etc., is to be achieved. Obviously it is easier to search under the street lamp. Outside Tibet we are able to hold protests, lobby governments, organizations, politicians and celebrities, raise awareness of the Tibet issue through the media and public-awareness events, etc. However, the reality is that our goal for change inside Tibet cannot be achieved without actions that take place “across the street” i.e. inside Tibet. I am not aware of any freedom struggle that was successful solely through efforts undertaken outside the country in question. Understandably, we continue to search under the streetlight because we are comfortable with doing this. We know how to do this since we have been doing this for quite some time now and are now well trained in this type of support activity. We can see under the streetlight. I am not discrediting what we have been doing so far nor do I mean to belittle the invaluable assistance provided by our supporters through their lobbying activities. This is certainly something that also needs to be done but cannot by itself alone attain what we claim we want. This glaring shortcoming in our efforts to date is something that has been completely overlooked in the ongoing, endless debates on rangzen, autonomy, middle way, etc. It has been all about what we want and nothing at all about how to get it. Our obsession with this topic in this context is simply puerile. Simply saying we want this or that is not going to change the status quo. The Chinese government is not going to all of a sudden get all jittery and keel over just because we opt for rangzen or whatever. “Strategy without execution is hallucination”, as pointed out by Mike Roach, CEO of CGI, a 31,000 person IT firm, in a presentation to a McGill MBA class. Even if we were to achieve consensus on this contentious topic it would still not bring us any closer to our goal. Rangzen was the de facto vision prior to the advent of the Middle Way but that still did not get us any closer to our goal then. If non-violence is our strategy, great but it has to be related to non-violent actions inside Tibet. Rangzen? OK but here too we need activity inside Tibet that will lead to rangzen there. And yes, there are things that can be undertaken inside Tibet. Once we accept the premise about where the focus should be directed, then we start coming up with ideas about what can and needs to be done. The aspirations and activities of the Tibetans in exile are often referred to as a “struggle”. However, to be brutally honest, apart from the period of armed resistance carried out from Mustang in Nepal, there is no “struggle” in exile. Whereas Tibetans in Tibet, those that have not thrown in their lot with China, are truly struggling, our actions outside Tibet to date, cannot be termed a struggle. We are now doing pretty much the same as or maybe even less than the “injis”, our non-Tibetan supporters, and that definitely cannot be construed as a struggle. Organizing and taking part in 10th March demonstrations once a year is not a struggle. Our non-struggle in exile should not be confused with the genuine article in Tibet. The Central Tibetan Administration (CTA) is basically living up to its name. It is dedicated, as far as I am able to ascertain, to administration. Administration has nothing to do with what Tibetans claim they want. Administration was crucial for survival in the early years of exile and the CTA has fulfilled its initial role superbly. Now, however, after more than 50 years in exile, administration should not be the primary focus of this organization unless no other more pressing agenda exists for the continued existence of this organization. Currently, the CTA operates more like some kind of a Ford Foundation, fully occupied with keeping itself running albeit without similar financial resources. If a more pressing agenda does exist, either the focus of this organization should be changed or a parallel organization should be created fully dedicated to addressing the needs of this more pressing agenda or someone else or some other group must step in to ensure that the goals of this overriding agenda are met. This, of course, assumes that we do have such a higher priority agenda other than pure administration. Could this perhaps be that of a government-in-exile? The Miriam Webster dictionary defines government-in-exile as “a government temporarily established on foreign soil following the occupation of its own territory by another authority”. The keyword here is temporary. Unfortunately, in our case, the CTA is beginning to look more and more like a permanent establishment. A more pressing agenda would imply the goal of moving from the status of a government-in-exile to that of government of a country which would further imply implementation of actions to achieve such a goal. Tibetans enjoy the dubious distinction of being the most successful refugees. While survival in exile was obviously the top priority during the early days in exile, our very success in adapting to life in exile is now our enemy. The good life, relatively speaking, has led to complacency and a lack of urgency that weighs down the Tibetans in exile to the point of inertia. Hence the current execution strategy of all parties concerned, be it proponents of rangzen or autonomy or middle way, of simply sitting and waiting for something to happen e.g. China imploding internally due to domestic strife and political dissent and resulting in our wishes being fulfilled. Of the around 140,000 estimated Tibetans in exile, how many are actively engaged in doing something concrete for Tibet? Sadly, the answer is only a few. Simply holding or participating in protest rallies is not enough. After more than 50 years in exile, we certainly do not suffer from a lack of highly educated professionals or financially stable Tibetans or Tibetans who have the time and capability to engage actively for their country. We have been busy all these past years mobilizing support among the international community for Tibet but have failed to mobilize the Tibetans in exile. The majority of the Tibetans in exile have washed their hands of all responsibility by conveniently placing the entire burden of achieving the goal of freedom in Tibet on the CTA and His Holiness. Richard Gere recently, in an appeal to Members of European Parliament, quoted His Holiness: “It is not enough to be compassionate, we must act.” This hits the mark, for us Tibetans, unfortunately and painfully dead center. We must act, as opposed to just reacting only to events inside Tibet as we have being doing till now. Resorting to solely criticizing the CTA is nothing else than weaseling out of our responsibility. If the CTA is not doing what it should be doing, then we Tibetans need to step in ourselves and start taking matters into our own hands by doing what needs to be done with or without the CTA. Business as usual just does not cut it in our precarious situation. In our recent past, Tibetans have taken the initiative to act in times of crisis. In the 1950s, concerned individual Tibetans acted on their own to form the People´s Association or Mimang Tsongdu to counter the growing influence of the Chinese in Tibet. Armed resistance to Chinese rule in Kham was initiated beginning in 1956 by Tibetans who chose to act rather than wait for the Tibetan government or someone else to do something. Placing all our bets on the international community is also definitely not a winning proposition. We may chide and deride governments and organizations that kowtow to China for economic benefits but it would be the height of naivety for us to expect them to act otherwise. Quite possibly, we would also act in like manner if the roles were reversed. We may be winning a few skirmishes and battles here and there outside Tibet as a result of our lobbying and public awareness activities but we are losing the war in Tibet where our presence is, as far as public knowledge goes, non-existent and which has been undergoing momentous and far-reaching negative changes over the years of a magnitude that we cannot even begin to comprehend from our comfortable armchairs in exile. We might as well be light years away on another planet for all the difference we have been able to make to the people in Tibet. Simply wringing our hands and bemoaning our fate as we impotently watch events unfold inexorably and relentlessly in Tibet from the sidelines can only lead to total victory for China. The situation in Tibet is getting worse. The world must help Tibet. However, after 60 years of repeating this mantra we still continue to lack significant political support. So my fellow countrymen, it is high time to ask not what the world can do for our country but instead to ask what you can do for your country. We keep admonishing the world that time is running out for Tibet. On the other hand, however, the urgency of the situation in Tibet has not been enough of a concern for us to warrant any changes or adjustments to our modus operandi. We must not repeat the “ostrich–head-in-the-sand mentality” that “rendered Tibet unable to function effectively”  in the time period leading up to the signing of the 17-Point Agreement in 1950. Hence, whatever the goal, if we don´t do anything ourselves, no one else is going to pull our chestnuts out of the fire for us. In which case, let´s face it, barring a deus ex machina, we will never achieve whatever it is we claim we wish to achieve. “Forth, and fear no darkness! Arise, arise! Riders of Théoden! Ride now, ride now! Ride to Gondor!" — J.R.R. Tolkien, The Lord of the Rings - The Return of the King, Book V, Chapter 5: The Ride of the Rohirrim, in which the beacons of Gondor are alight, calling for aid and the riders of Rohan ride to the aid of and lift the siege of Gondor. Goldstein, Melvyn C. “A History of Modern Tibet, 1913-1951: The Demise of the Lamaist State”. Shakya, Tsering. “The Dragon in the Land of Snows - A History of Modern Tibet since 1947”. Goldstein, Melvyn C. “A History of Modern Tibet, Volume 2, The Calm Before the Storm, 1951-1955”. Mullin, Glenn H. Path of the Boddhisattva Warrior: The Life and Teachings of the Thirteenth Dalai Lama.